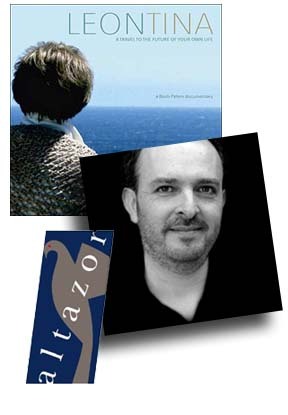 Composer Jorge Aligia has been nominated for the very prestigious Altazor Award in Chile for his score for Leontina. It's a documentary about the director's grandmother Leontina, who has lived during 82 years in the isolated lands of southern Chile. Alone, separated from an absent family and modern developments, she seeks refuge in her own world. We will learn her memories and her intimacy, her everyday rituals and her worldview. We discover a secret that takes her to the past and we join her back to the sea after 50 years. This documentary is a grandson's tribute to his grandmother. The Altazor Award of the National Arts or simply Altazor, is a Chilean award which is awarded annually. The winners are chosen by the own creators and performers of the arts. The Altazor was established in 1958, but was not awarded until 1999. The score is available from Kronos Records.